Last night the forces of authority, greed, and misogyny assassinated one of the world’s great defenders of the Earth: Berte Cáceres. Winner of the Goldman Environmental Prize for her defense of rivers in her homeland, she was murdered for leading indigenous peoples against the construction of the Agua Zarca Dam. I think of the great women in America who defend the land under their feet: Barbara Albrecht in defense of Pensacola’s watershed, Madeline Kiser-Bieta in defense of Tucson’s watershed and Costa Rica’s rivers; Terry Tempest Williams in her defense of wilderness in Utah, and Florida writers like Jannise Ray in her defense of the Altamaha River and the Long Leaf Pine habitat; Anne Rudloe in defense of Gulf coastal habitat, and Marjory Stoneman Douglas for defense of the Everglades. Women relate to nature through their bodies as well as their minds, as mothers who watch over their children. That is why women must lead today. Listen to this mother of mothers speak about her homelands. Under constant threats to her life, she persisted to speak for her people and their land, for the Earth. Reblogged this on Dancing Echoes. The like button is maybe not the correct one here. This is another horrible crime committed in the name of greed and money. Thank you for posting. I never thought of that, the use of the “Like” button. We surely need an additional choice…”I agree” perhaps.. This makes me want to pay more attention to what’s happening around me hee in Pensacola. Was her murder related to her environmental activism? Yes. 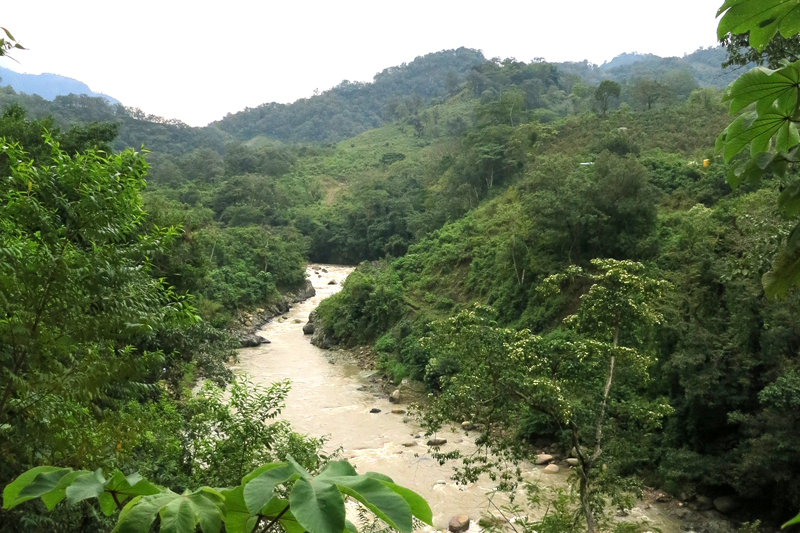 The link on the Agua Zarca Dam above is a pdf that explains how she became involved in defending the land of the Lenca indigenous people who have legitimate rights to the land. As I think about the final funding decisions in Escambia County for RESTORE ACT funding, I see the forces aligning to overturn three years of community input, for projects that will further degrade the land to support short term economic gains. But, here, at least, most of us do not lose our lives for standing up for the land under our feet. Indeed a sad day for Mother Earth. And from the report I heard, Ms Cáceres new that she was targeted. May it never get that bad here. I second your kudos to our passionate activists. I was so saddened to hear of her murder. Though people in the global north may seem protected, it is an illusion. Some environmentalists do lose their lives in North America — usually to the ‘justice’ system rather than by assassination. Environmentalists are still considered by the FBI to be more of a domestic threat than white supremacists — even though environmentalists generally are peace loving people! A great resource for anyone wanting to learn more is Green is the New Red by Will Potter. Debra, thank you for this response. I agree with you that environmentalists have been and still are at risk of the justice system. Thanks for the link. I will be exploring this. Have not read it.